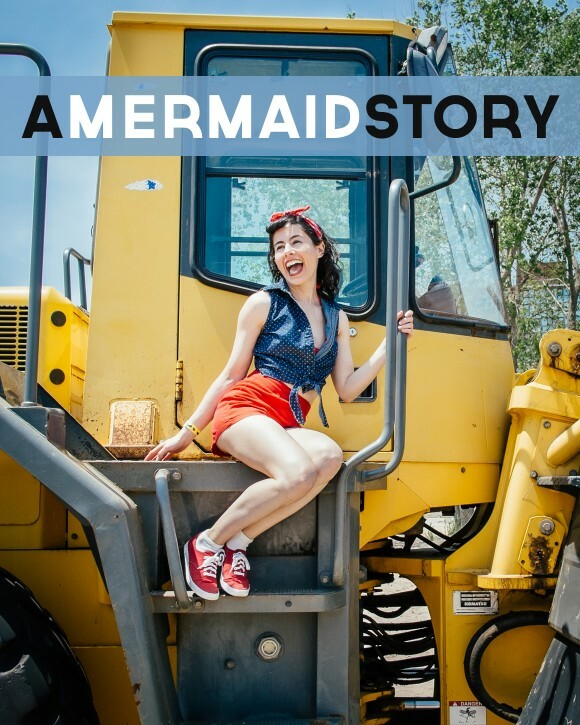 modcloth made my mermaid parade! 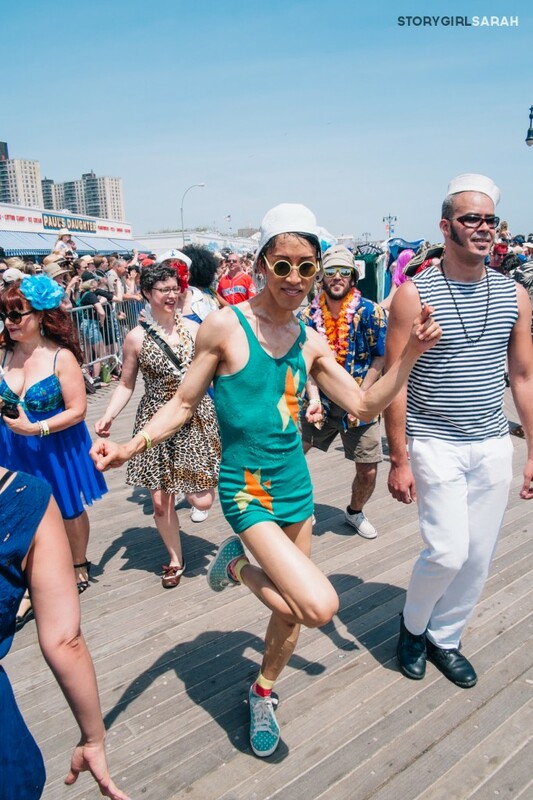 This summer marked my second Mermaid Parade! 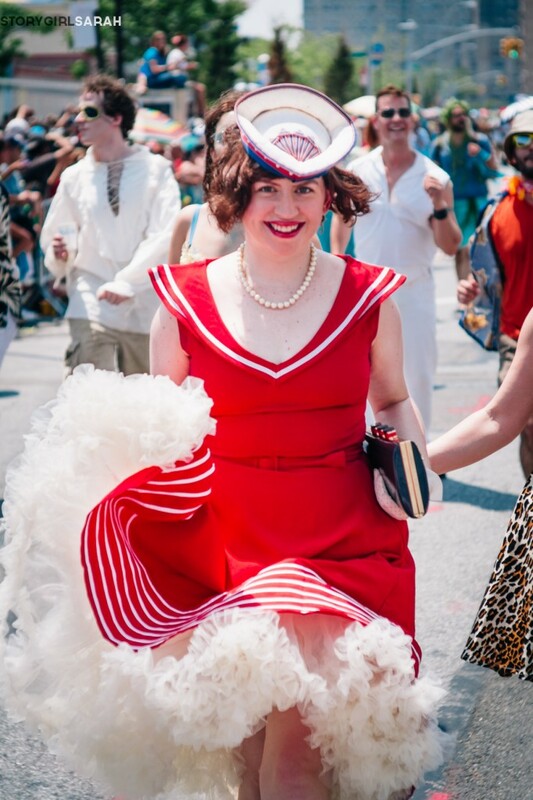 I was thrilled to wear one of my ModCloth Year of Dresses beauties (the “Either Oar Dress” from Myrtlewood) to perform in the parade! 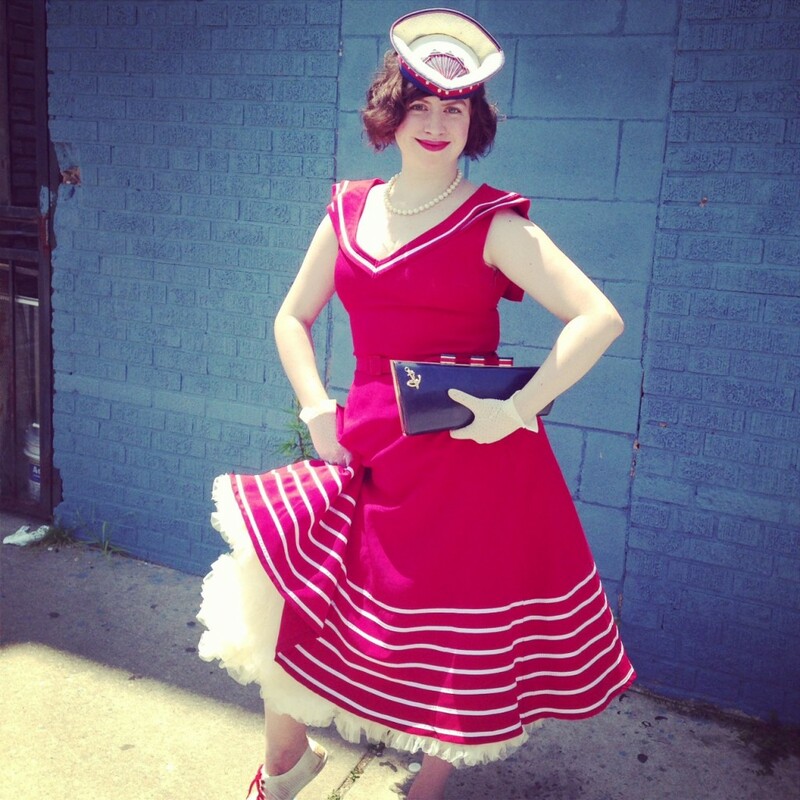 the dress went perfectly with my gretchen fenston tricorn sailor hat and kate spade sailboat clutch! 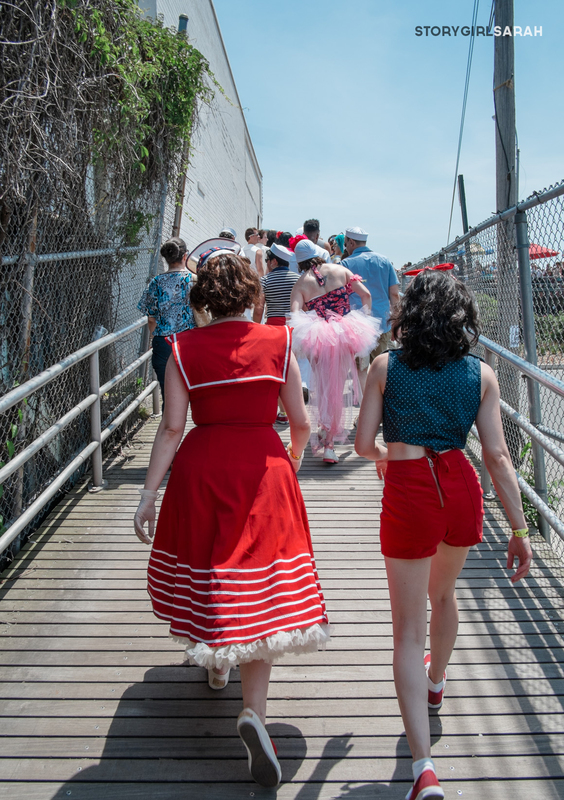 I’ve been lucky enough to join up with oft-parade-prize-winning Brooklyn Bombshell Revue lead by choreographer extraordinaire Heather Flock. 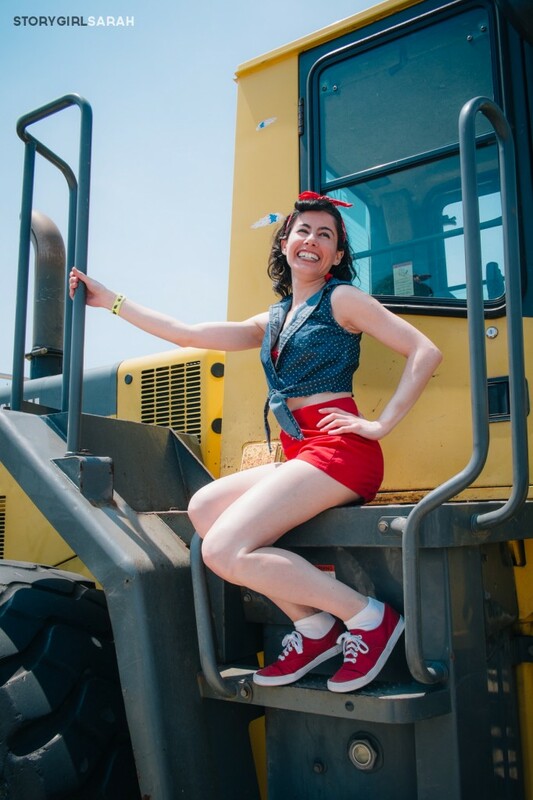 Last year, I was so nervous, because I didn’t have a partner to swing dance with in the parade. I was going to be paired up with some random person! I would soon discover the Bombshells are all amazing people and I love my dance partner! Josie is a perfectly petite fly geneticist. That’s right, I swing dance with a scientist! Look how adorable she looked at the parade this year! josie on the front end loader! did i mention my modcloth va va valuminous petticoat was super fun to swoosh around in? brendan & elyce were our mermaid king & queen! after a job well done, josie and i sure were tired. it was an exhausting, beautiful day. we had a blast! You attended the neatest events. How cool! What type of swing dancing do you do?